Akkari inherited his passion for books from his father, a primary school teacher. Over the years they together accumulated a rich and diverse home library. When Akkari studied in France, all his part-time earnings went on buying books. When he found himself working in a bookshop he asked to be paid in books. In 1983 Akkari went back to Tunisia and unlike others, who returned home with cars and furniture, he brought back boxes filled with books. He invited his students to his home to work on their academic research. Then their professors started coming to borrow books. This gave Akkari and his father the idea of putting their library at the disposal of the wider public. When Akkari started to build his own house, he decided to dedicate a whole floor as a public library. But the house took longer to build than he expected. For 12 years, during which his three children were born, the family had to share a small space with all the books. In the past three years they have finally been able to keep one floor for the books and another one for themselves. 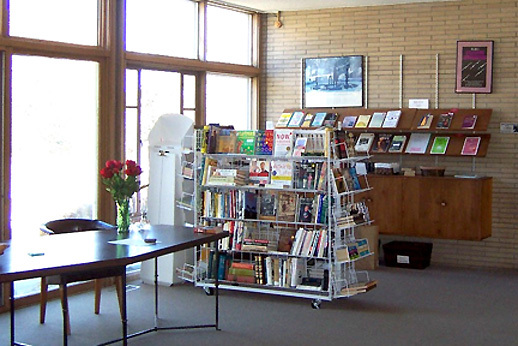 The public library is 20 minutes by foot from the University of Humanities. It is run on a voluntary basis, with help from Akkari's students. Each person who comes to the library for the first time gets a book as a present. `We get many books, especially from our teacher friends,' he says. present there are over 4,000 books, mainly in Arabic and French, with two shelves in English--a section which Akkari hopes to enrich. Tunisian law does not allow big public gatherings without special authorization. Last March the library obtained an official status, which not only flees them from such obligations, but also allows them to make contact with other institutions and foundations. The library was officially opened in February with the dedication of one of its rooms to a famous medieval scholar.